I find that I very often put together my entire outfit based upon one item that I feel I just MUST wear that day. Today was one of those days. 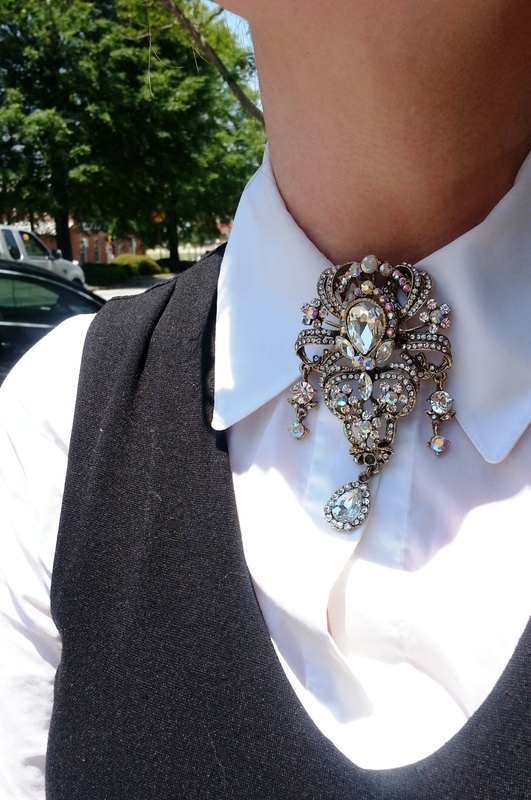 It’s a big brooch and I thought I’d wear it as I would a statement necklace – with minimal accompanying jewelry. I chose to pair it with an easy to wear (and some days I need that!) 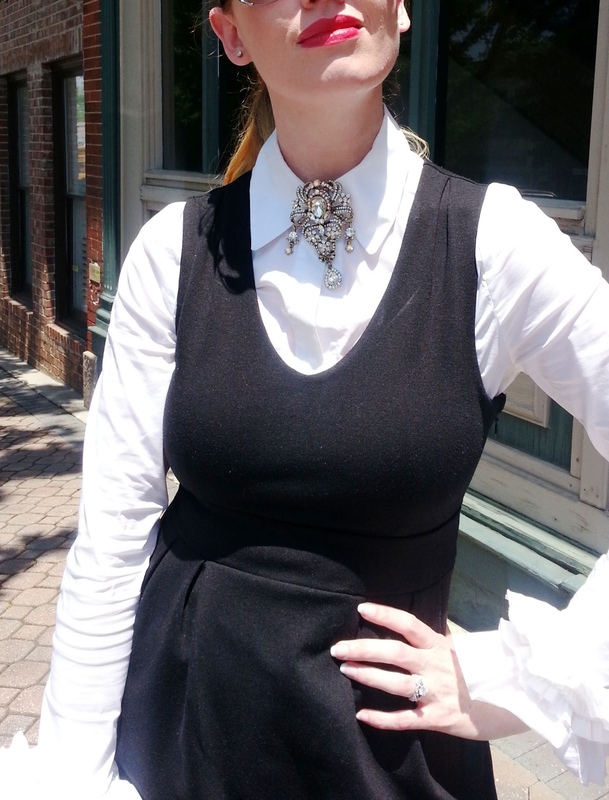 black romper and white cotton blouse. I completed the look with leopard print, kitten heels (the perfect shoe combination) for a bit of pizzazz. Thanks so much! Following you too now!! So chic outfit. That brooch is so amazing! Off late I am also inspired by brooches. I think they are a great statement piece and notches up one’s look.